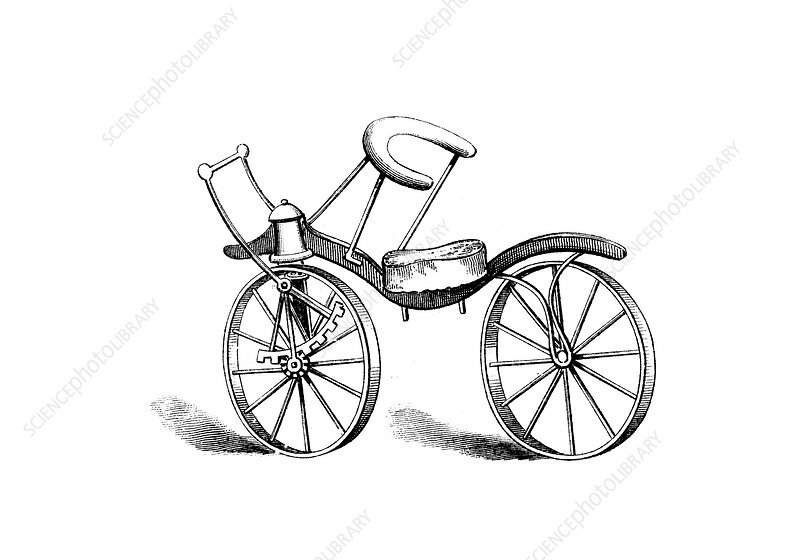 Lewis Gompertz's improvement on Baron von Drais's bicycle, 1821. Baron von Drais in France in 1817. It was introduced to England the following year by Denis Johnson, a coachmaker of Long Acre, London. Dandy horses had no pedals or brakes, but were propelled by the rider pushing on the ground with his feet, and dragging the feet to slow the machine. Gompertz improved on von Drais' design by adding a rack-and-pinion to power the front wheel.